Die-cast model collectors and kids, rejoice! 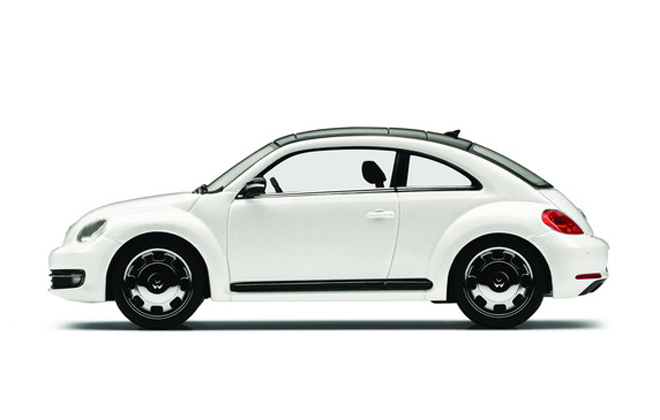 Your favourite Volkswagen is now available through the firm's online store in miniature models. It recently launched scale replicas of the Beetle, Up!, XL1 diesel-electric hybrid concept car, and the Race Touareg 3 Qatar Edition. The Up! Is a 1:87 scale while the Beetle is larger, at 1:43 scale. The XL1 Study and the Race Touareg 3 Qatar Edition are also built in 1:43 scale but are limited on a run of 1,000 units and will only be available to order until the end of 2011.